Dashlane makes identity and payments simple and secure everywhere, with its world-leading password manager and secure digital wallet. It is the solution for the common problem encountered by hundreds of millions of web users worldwide - that of registering, logging in and checking out on every website and every device. Millions of people use Dashlane to manage their passwords, automatically log in, generate strong passwords, pay on any website with any card without typing, and more. Its solution has won critical acclaim by top publications including the Wall Street Journal, the New York Times, and USA Today. The company was founded in 2009 by Bernard Liautaud and co-founders Alexis Fogel, Guillaume Maron and Jean Guillou. 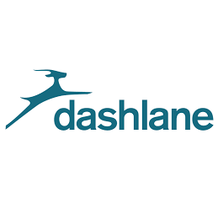 Dashlane has offices in New York City and Paris, France, and is funded by Rho Ventures, FirstMark Capital and Bessemer Venture Partners.